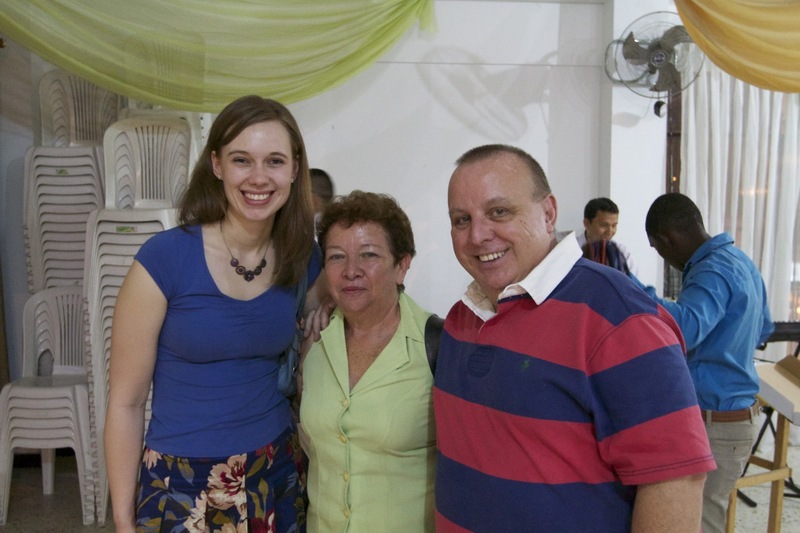 ….and Easter Sunday went on…..
…..though the evening meeting began at 5pm, in the depths of Agua Blanca – the poorest district of Cali, in a bario known as Valle Grande. I’d not been to the church before: we parked next to a stall of a man cooking and selling what we think were sausages on sticks: the church was upstairs, above a most delicious smelling bakery, so it was sensory heaven….we arrived only an hour and forty minutes late, which in Colombia would be the Brit equivalent of 10 minutes late(! ), the worship, which had probably lasted since 5pm, was…er…loud, but, as always, God turned up. All of us spoke, they survived my preaching, though the smell from the bakery and the sausage stall probably kept people there! The folk there were very responsive, though, which is blessing: and, as always again, loads of people came forward. We were all pretty much ‘occupied’ for an hour or more praying: Katie & I stayed together so I could translate. One of the first ladies was suffering from osteo arthritis, osteo parosis, and a very painful stomach disorder. She was healed, head to foot, instantly…. Many others testified to immediate healing, too: one of the ‘lovely’ one was a lady – we guessed in her late thirties – whose face was strained, and with such sadness ethced across it, suffering from sucidal depression. God wonderfully set her free from a spirit of death & suicide, and she was laughing by the end of our time praying with her. « God doing what God does best…..